Bodycare brings this flutter sleeves, round neck top for your little one. 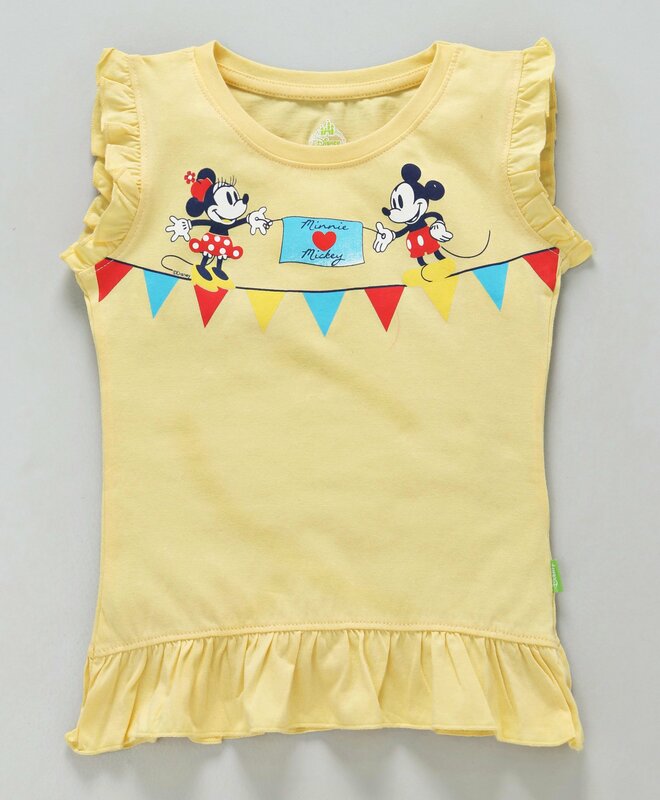 Cute 'Mickey & Minnie Mouse' print on solid colour makes it attractive.Your little one will be comfortable all day long. Styling Tip: Mix n match this Top with jeans or shorts and casual shoes.